2014 is declared as the International Year of Small Island Developing States by the UN General Assembly as a theme of World Environment Day, focusing on threat which is being caused by rising sea level due to climate change. 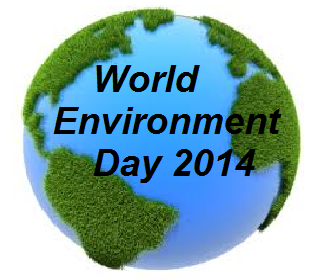 5th June, celebrated as World Environment Day every year, since 1973. The program is run by United Nation Environment Program (UNEP). This day is celebrated to bring awareness about the wide range of environmental issues such as climate change, waste management, unsustainable consumption, degradation of natural resources, and extreme natural disasters, which is causing harm to our planet, the Earth. This day calls for taking assertive actions to protect the nature and the planet Earth.